What are the foundational requirements that create momentum to clinical, operational and financial performance for an accountable care organization? 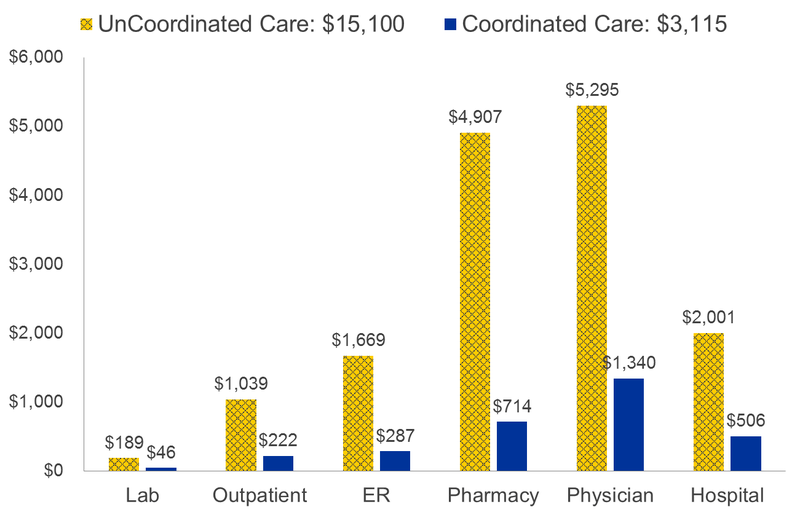 Care coordination is a major opportunity for improving costs, quality and satisfaction, as illustrated on the graph below. Source: Identifying and Quantifying the Cost of Uncoordinated Care: Opportunities for Savings and Improved Outcomes, Mary Kay Owens, R.Ph.,C.Ph, Institute of Medicine, 2009. I have been following the development of ACOs since 2009, when many people wrote off ACOs as unicorns. Now, the unicorns are here to stay, and they are multiplying. I believe we will see more demonstrable change in the way that healthcare is delivered, managed and paid for in the next five years, than we have seen in the past 20 years. Alan Gilbert is a mission-driven growth serial entrepreneur with “up through the ranks” experience in the healthcare industry. He is viewed as a thought leader in the areas of accountable care solutions and collaborative care, is a frequent contributor to professional online journals as well as a sought after speaker at industry conferences. Mr. Gilbert is currently the Chief Growth Officer and Co-Founder of TEAM of Care Solutions, LLC, focusing on Technology Enabled Active Management of Care (TEAM).